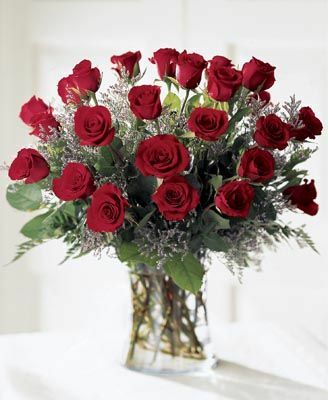 Twenty-four glorious long-stemmed roses arranged in a vase with accent flowers. You may choose red, white, yellow, pink or peach roses. The Deluxe option means that fragrant white oriental lilies will be added to the roses for extra flair.